Pumpkin Cat is not amused. 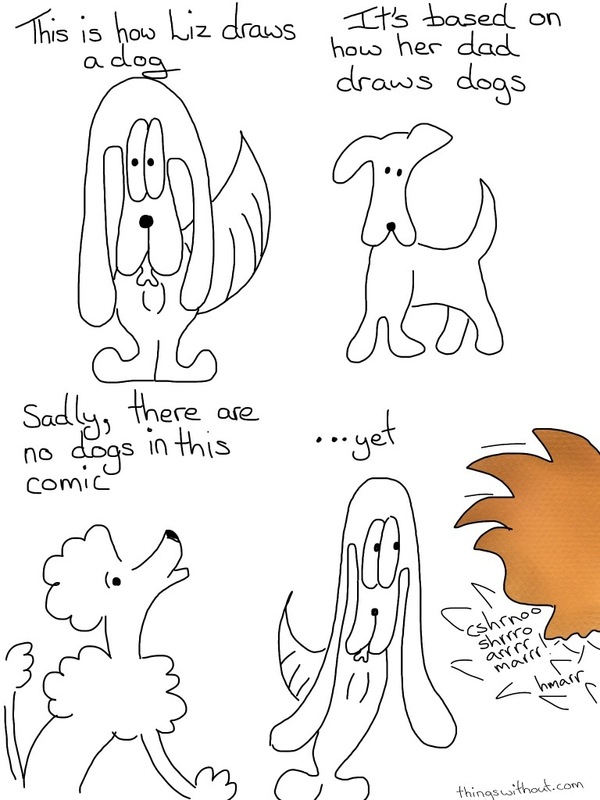 I think that’s how my Dad draws dogs, it’s been a while. I certainly remember carefully observing his technique and then duplicating it while making various proportions more extreme. He drew a crest for me with a dog on it and a hand grabbing, it said Carpe Canem (seize the dog).